Did you know that more than 30 million children in the United States live in low-income households and that many of them have no age-appropriate books at home? An organization called First Book is working to change that by providing children in need with brand new, high-quality books. This week on BetterWorldians Radio, we’re talking with Kyle Zimmer, CEO and President of First Book and Carey Palmquist, a Senior Adviser at First Book. Zimmer and Palmquist will discuss how getting books into the hands of children who need them changes lives. Carey Palmquist is responsible for assisting First Book's leadership team execute on new ideas for growth strategy and innovation. Carey joined First Book after 4+ years as Executive Director of Operation Warm, a national non-profit providing brand new coats to low-income children. Prior to joining the non-profit sector, Carey served as Vice President of Operations for a state-of-the-art, multi-billion dollar cancer treatment company where she was responsible for all operational aspects of the company's flagship treatment center in Oklahoma City. She has also served in the capacity of human resources executive in the healthcare, technology, and financial industries. 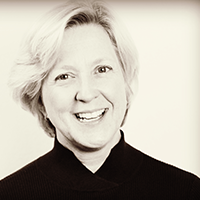 Carey serves on the board of The Institute for Global Youth Development Programs, holds a Master's of Management from Cambridge College and is a certified Six Sigma Green and Black Belt. In 1992, Kyle Zimmer, then a corporate attorney, was volunteering at a soup kitchen in Washington DC when she realized that the kids she was working with had no books to call their own. Kyle founded FirstBook to remedy the problem. 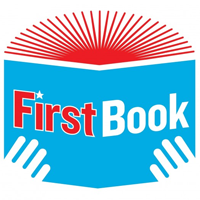 First Book is a nonprofit social enterprise that ensures that local schools and community programs across the country serving children from low-income families have a steady supply of the brand-new, high-quality books they so desperately needed. First Book distributes millions of new books and educational resources every year. Kyle is a passionate advocate for social entrepreneurship, educational equity, and the importance of literacy. 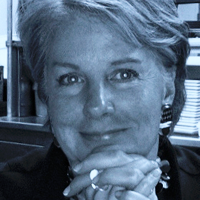 In 2013 Kyle was a presenter at the University of Oxford’s “Power Shift: Forum for Women in the World Economy.” Kyle also received the 2014 Literarian Award from the National Book Foundation. Joining us this week on BetterWorldians Radio is Kyle Zimmer, Founder, CEO and President of First Book, a non-profit that provides access to new books for children in need. In 1992, Kyle Zimmer, then a corporate attorney, was volunteering regularly at a soup kitchen in Washington DC. Realizing that the kids she was working with had no books to call their own, she set out with some friends to remedy the situation. Twenty-one years and more than 110 million brand new books later, Kyle continues to lead First Book. Under Kyle's leadership, First Book distributes millions of new books and educational resources every year to a growing network of schools and programs across the United States and Canada. Among numerous other honors, Kyle Zimmer received a 2014 literarian award from the National Book Foundation. Also joining us today is First Book Senior Advisor Carey Palmquist. Carey is responsible for assisting First Book's leadership team, execute on new ideas for growth strategy and innovation. Carey joined First Book after more than four years as executive director of Operation Warm. Kyle, thanks so much for joining us today on BetterWorldians Radio. It's an honor to be here. Thank you. Oh, you're very, very welcome. We're really anxious to talk to you today about all the work that you are doing. I guess I can start by just asking you about the role reading played in your life as a child. Well lucky me, I was brought up in a home with lots and lots of books and a real focus on education so I remember the books that were dear to my parents and my brothers and sisters and we always knew, and there was sort of a mantra in the family that education was the way to elevate the world, and so from my earliest days, very central to my life. You began First Book when you were a corporate attorney volunteering as I indicated in the introduction at a soup kitchen in Washington DC. Can you tell us a little bit about what led you to the realization that so many kids don't have books to call their own? Well, it was kind of a startling revelation to me I think just because I had been lucky and it hadn't occurred to me that books weren't just sort of around in schools and laying around at home. And so I did, I started volunteering after work 25 years ago in Washington at a little place called Martha's Table, which at the time was kind of a bare-bones soup kitchen. And every time I would go in, there would be 50 kids in there with big smiles and they were doing everything right. They were coming in out of a dangerous neighborhood. They were looking for adult intervention. They showed up every single night and we were there and we couldn't do a lot with that time. We couldn't do enough with that time because there were no books at the program and no books in their homes and the library had been closed. In most of the schools in those areas, the resources are really stretched as well and so I just kept thinking that those hours could be so much more valuable if you could just pull a kid onto your lap and read a book with them. And so that's sort of where it all started. Now how did you go about getting the books for the children in need? How did you go about the actual process of acquiring the books? Well, I've always had a public sector heart and a private sector head and so the first thing I did for a few weeks was I would stop at a local bookstore and pick up books on my way over to the soup kitchen. But, the problem is so much bigger than that. The systemic private sector part of my brain clicked in and I realized that if we're really going to crack this issue, if we're really going to make books and stories accessible that it needed more than me stopping at the local bookstore. It needed a systemic solution. And you went actually from the day-to-day rigor of a corporate attorney to actually starting up and running this non-profit that supplied books for kids, so how did that change your life? Well, I think in a lot of ways, it didn't change it as far as I always have been a bit of a workaholic, and so in this case my clients are kids in need all across the United States and happily now Canada. But I think that I am and I know you guys are as well just a very mission driven individual, and so I always felt that way with the clients I represented. I always took their mission on to be my own, and this sort of allowed me to choose what I believe is the issue of our time and that is education, equal opportunity to quality education and really embrace it with every fiber and every moment. And so there aren't very many people who get the opportunity to do that with their lives and so I've always felt very, very fortunate. Well speaking of equal opportunity, I see here that 42% of children in the United States, that's actually more than 30 million live in low income households and most of these children have no age appropriate books at home. What impact does that have on a child? The impact of the failure in this system is it's hard to over-state it. It starts with the child in school feeling like a failure in kids who cannot read and who are not learners, they don't disappear after childhood. They grow up to be adults who can't read and have very limited opportunities. It has profound implications for employment. It has profound implications in our criminal justice system for people who feel like they have no other opportunities. It has profound implications for healthcare. It grows to all of those issues have a bigger footprint at the community level, at the state level, and at our national level with whether we are competitive economically. We're all very proud of our democracy and we should be, but there's a hole in our democracy right now and it's these kids and the adults that they become because what does the right to vote mean if you can't inform yourself before the election. What does the freedom of speech mean if you can't articulate and you can't write and you can't engage and advocate on behalf of yourself and your community and your own kids? So there's a gigantic ripple effect that starts with the tragedy for the child and ends in a crisis for the country. So the problem is broad and it's deep. I'd like to shift gears now and talk a little bit about some of the solution, specifically what First Book does to deal with some of that problem. First Book provides new books and educational resources at very, very reduced prices and in some cases for free to schools and programs serving these children in need. Tell us a little bit about how you go about doing that. Well, we have two big systems, two big jet engines. One is called the First Book National Book Bank and the other one is called the First Book Marketplace. Carey can describe the Book Bank. The Book Bank is a really great way to get a lot of excess books from publishers out to the network that we serve. Publishers have millions of new books every year that go unread, and First Book created the first and only clearinghouse for publishers excess inventory. And so as a First Book member, a recipient group, you have access not only to our marketplace which Kyle will describe in a moment but also to the vast quantity and variety of books that are available through publishers who actually donate them to First Book. The second system is the First Book Marketplace. The First Book Marketplace is a real jet engine model that we invented about seven years ago. And what it does is it aggregates the market at the base of the economic pyramid, so it's the lowest 30% of the socioeconomic ladder in the United States, all the schools and programs, and preschools and after-schools that work with that population are eligible to register with us and purchase books through us at dramatically reduced pricing. So these are award winning titles. These are not the books that didn't sell. These are the best in show. We offer more than 5,000 titles and the average price including shipping is about $2.85. And registering with us by the way is free of charge and so we are out there trying to urge everybody and anyone who is listening to this, if you know of a school or a program, please, please, please, go on to FirstBook.org and make sure they're registered and receiving the resources. So now we talked about the two jet engines so let's bring this down a little bit to the ground and actually talk more at the very personal level. What's it like when a child receives his or her first ever new book? There is a magic in this that I have never gotten over. I will tell you, it's layered. There are sort of three layers. One is the child who receives it. A second layer are all the dedicated heroic teachers and volunteers who get those resources and can do wonderful things with them that they've always dreamed about doing but often haven't had the resources to do it. And finally it's the families, the parents and caregivers because it can change the dynamic of home too. When I think about the magic, I think about the kids who I have met over the years. For example, I grew up in southern Ohio and I went to an event close to where I grew up and a little boy about eight years old came flying in the front door of this event to get his books and he came running over to me and this kid could have been my son. He said in his thickest southern Ohio accent he said, "Mam, do you have any Spanish books?" I looked at this little face and I was thinking my goodness, things have changed since I grew up here because they're teaching Spanish and I said to him, well honey are you taking Spanish in school? And he said "No, but this is my big chance to get it." I think about that kid when I'm up at two in the morning and I still have three things to do and I think that's really what it's all about. It's that big chance. You see that delight in a little child's eyes and it carries you to that jet engine and motivates you. I'd like to shift gears once more before we go to the break. I want to ask a little bit about the authors that have gotten involved with First Book and supported the cause. Tell us a little bit about that involvement. We have a lovely network of authors that's constantly expanding, everybody from Mary Pope Osborne who has written all the Magic Treehouse books, to Sharon Draper, to just a gigantic range and they do everything for us. They consult with us on what books should kids be reading, what we should be offering. They offer us advice as to how to be heard and how to approach schools and how to approach kids through our networks. And often they make wonderful financial contributions of their royalties of some of their books. These are people who love writing and love storytelling and they walk around sad that we are leaving millions of kids out of that conversation. We're speaking with First Book founder, CEO and President Kyle Zimmer and Senior Advisor Carey Palmquist. And now let's welcome back Kyle, Carey and MarySue. Hi. I hear you have a very exciting announcement that you would like to make about First Book. Please share with our listeners. Well we do. We're thrilled to be with you guys to announce that by the end of this year, we will have given away 125 million books to kids across the United States and Canada. And so that's a wonderful new benchmark and we're delighted to share it with you first. Oh, we're so excited to hear about that. That's just mind-boggling. That's wonderful. How many kids do you think that impacted? Well right now we serve a network of about 155,000 programs and classrooms, so it's way, way into the millions. One of the things you always have to remember is that when you hand a book to a kid and they take it home, what we hear are the wonderful stories that they read it with their brothers and sisters, and they read it with their parents and caregivers, so the good news goes on and on. It just spreads and spreads. Well congratulations. That's just wonderful work. MarySue, I wanted to jump in real quickly and I wanted to go back to the story that Kyle was telling about the 8-year-old boy because that story has actually sort of empowered First Book to do something about the very question that little boy asked. So I would like Kyle to go ahead and finish that story and talk about what was done about answering his question and future questions. Oh the little boy that wanted to know if you had Spanish books. And so First Book has really taken on the issue of diversity in children's books. Not only do we currently offer a great selection of Spanish books, but we also have launched something called Stories for All. Stories for All is the first program of its kind that really tries to solve the longstanding issue of the lack of diversity in children's books by elevating the market for those books and by making it an economic possibility for publishers to step into that space. A great example of this is we surveyed our network as I said of 155,000 programs and classrooms and asked them what do you need? What do you want? They should be the ones driving that and they came back to us with a request for a bilingual The Very Hungry Caterpillar. Almost everybody is familiar with the book The Very Hungry Caterpillar. It's a wonderful Eric Carl book that has been read, I know by my children over and over again. While it existed in Spanish and it existed in English, there had never been a bilingual edition and so we contacted the publisher and we laid an initial order on the table for 30,000 copies if they would produce a bilingual edition, and they stepped right up to the plate and produced a beautiful new version. We now have made about 135,000 copies of that book available through our systems and now it's available at retail for everybody. We just also launched the Good Night Moon bilingual edition, which is another classic that everybody is enjoying. That's great. I really like that fact that you have so many different bilingual books out there now. It seems the publishers are so cooperative. I was reading that you reached out, the publishers promised to buy books from unpublished authors too that future characters for the unrepresented communities. Can you talk a bit about that? Sure, the publishing industry is a victim of its own industry design because it's a consignment based industry and so the books that aren't purchased at retail go back to the publisher. What that means is they have to when they price books at retail of course they have to include in the price of books all the inventory that they know will end up coming back to them, and so it elevates the price of books. Right now for example, the average price of a premium picture book is $18.00. Well what that means is the only families who can consistently go and purchase those are really very, very affluent families and so there are lots of implications for that. One of the pieces of bad news of course is that families in need don't have consistent access to those wonderful high quality books, but the other thing is that it narrows the books that are produced because they're aiming at the upper most affluent group of people in the United States market and so it fundamentally means all white. So we end up with a problem where 93% of the books that are produced are by and about white themes and reference points. This is a University of Wisconsin study that was released two times confirming the results, so we stepped out with Stories for All and we said no, there's a huge market. There's a huge interest in books by and about all cultures and we will help the publishers get there by opening up our systems and allowing for the first time ever by using the way we do pricing and by the way we do our distribution allowing the publishers access to this much fuller, much more diverse market, and they are anxious to get there. So they've stepped right up and we have over 26 publishing houses that have jumped up to participate, so it's been an extraordinary transformation. We're still on the early edge of it but the early signs are very, very hopeful that we'll make progress. Wow, that was a very innovative idea that really helped all those under-represented communities. I also heard that you receive funding from Disney earlier this year to curate a collection of books for Latino children. Tell us about that and what impact that had. That was really very exciting for First Book and for our network of providers. The collection celebrates Latino history and culture and through that gift from Disney, we were able to connect more than 35,000 new Latino serving groups to our First Book network. That's the first piece is getting people engaged with First Book and having them understand what resources are available so that is a huge component of our mission is making sure folks understand that they can have access to the resources that we provide. We were also able through that gift to distribute more than 270,000 culturally relevant books with a retail value of over 2.6 million, which was pretty amazing. We were able to introduce 127 new titles through that gift, so it was extraordinary and really reached a population that we've been striving to reach because now we were able to offer something that was of great interest to them. You mentioned that you had great success when you give these books to the older children that they read them to the younger children. How does that help the situation? What's happening? How do the role models change? Families are always the most important educators in a kid's life. Through all these years working at First Book, the thing that is most helpful to me personally are those stories because what it tells us is that this is a problem that we can actually solve together. When you read the paper today, it's filled with some pretty overwhelming bad news and a person can be led to believe that there's not a lot of hope sometimes because the problems seem enormous and beyond our capacity as individuals. Despite the fact that the poverty rates are extraordinary and unprecedented in the United States these days, the problem of literacy, the problem of access to books and turning children into readers is actually one that is solvable and it is hopeful because literate people do not have illiterate children. So once a family has crossed over that bridge and the older kids are reading to the younger kids, part of that family tree never goes back. Then they become part of the solution because then they can read to other kids, they can read to their cousins. Then you've turned them into BetterWorldians if I may. They've become part of the solution and they're activists in their own family on their own behalf and they can elevate everything. I love that BetterWorldian readers. Now do the books go to the schools and to the children as separate operations or does it go to the schools who give them to the children? It goes everywhere. We believe that kids need 360° surround sound with books. In addition I should say other wonderful educational resources as well, which we also provide. But we work with school libraries. We work with public libraries, homeless shelters, healthcare settings, every imaginable place serving kids zero to 18. Some of them use them for standing libraries. Some of them lend them out to families and some of them give them so that kids can start their own home libraries and we want to support it all. I wanted to chat with Carey just for a second. Carey, we spoke to you last year and had a great interview. I think it was last December. What attracted you to First Book? That's a really great question. It's a fabulous answer from my perspective. I was introduced to Kyle when First Book came and was talking to Operation Warm about potentially offering coats on the First Book Marketplace. Sitting in a couple of meetings with Kyle, I was so inspired by her vision and the fact that this is a social enterprise. I'm very entrepreneurial at heart and I saw something in Kyle and Kyle's vision that I was very eager to jump onboard with because of the way that they're crafting their mission and the way that they're deciding to reach as large a group as they're reaching. It's very much a social enterprise as opposed to a charity, and having been an executive director of a charitable organization and seeing firsthand the challenges around fundraising, the competitiveness. There are literally hundreds of thousands of incredible, incredible mission oriented organizations out there and the competition for funding is fiercer and fiercer each day as more and more folks need help. What First Book is doing, and I'm very proud to be a part of the team now, is figuring out innovative and alternative ways to keep this mission going without depending so heavily on external funders. And so I knew that I stood to learn a great deal from Kyle. I've been here almost four months now. I've learned a lot. I have a lot more to learn but the social enterprise, the social innovation is what really inspired me to move from Operation Warm to First Book. It's an education for me and something I'm very excited about. Yes, maybe you can share a little bit more about that with our listeners. They may not be familiar with the difference between a charity and a social enterprise. Sure. With a charity, it's very dependent on outside funding sources through foundations, corporations or other institutional funders. A social enterprise really aims to become self-funded through the work that they do, and so Marketplace, the jet engine that Kyle referred to earlier and that innovation through the Marketplace and through the growth of the Marketplace and having more recipient groups purchase products from us at very low and discounted prices will mean that we have the cash infused back into the organization to make further investment in the products that are available. So while we are very certainly all non-profits do depend on external funding, the model that Kyle has created here does afford us the opportunity to help infuse the mission back with funding from the recipient groups. Kyle, you might want to expand on that a little bit. Yeah, I mean right this second, First Book, we do probably about 14 or 15 million books a year. We have gotten to the point where we are about 50% funded by the revenue we generate ourselves and 50% we look as Carey said to external sources, so individuals and foundations and corporations that are all wonderfully generous to us. If we do this right in the next couple of years, we will be able to wean ourselves off of those funding sources and be fully self-supporting, so we need help now. We need help to get there but our sight and our designs are to push us towards self-sufficiency as fast as we can because what we believe is that the wonderful generosity of your listeners and corporations and others in the world should be reserved for the next round of social innovations that need that early money to get them off the launch pad so that they can get to self-sufficiency as well. Thank you for that clarification. Carey, you were mentioning that there is a similar population between Operation Warm and First Book. Have you folks ever considered collaborating? We absolutely have. Again, that's originally how I met Kyle and the First Book team was through some inquiries that Kyle was making as to how Operation Warm was serving their population, and it's the same. It's the same group of folks that we're serving and so the idea back then was to get coats offered on the First Book Marketplace. I'm very happy to say that Operation Warm and First Book are now collaborating and we are offering Operation Warm coats on the First Book Marketplace, which is really critically important because as you know and as we talked about last December when we did a great interview, kids who don't get to school don't even have the opportunity for access to the books. It's all very integral to their health and well-being that they have the appropriate attire to get to school where they can learn, so we are very thrilled that Operation Warm has allowed us to offer the coats on the Marketplace here. They went up on our Marketplace several weeks ago now and they're absolutely getting purchased by teachers and program leaders who understand the value of getting kids to school, and so the collaboration has started. We're thrilled with it and we hope to have more of that in the future. This is Kyle jumping in, I think there are too many kids waiting. There are millions of kids waiting, and the last thing that should happen is that all of the non-profits build separate sets of train tracks in to help them. We shouldn't waste five cents duplicating efforts. We have to build the structures and the systems with the same efficiency that we apply on the private sector side must be pushed onto the social side so that we can provide them with the food they need, with the winter coats, with the books, with the whatever they need, we should be all working together and not duplicating and wasting funds and time. Great thought and we're going to be taking a break at this point from that thought and talk more when we get back with Kyle Zimmer and Carey Palmquist. We'll be right back. We're back now with First Book CEO Kyle Zimmer and Senior Advisor Carey Palmquist. Hello again Kyle and Carey. First Book was recently able to reach out to children in the Ebola affected areas of Liberia. Can you tell our listeners about that? It sounds fascinating. Sure. First Book has always been designed to not duplicate efforts but to support efforts that are already on the ground. We were contacted by a group in Liberia that was focused on the fact that children were now being pulled out of school for months at a time because of the obvious concerns of the spread of the illness. While that protected their health, it was causing a big hole in their educational progress and these were families that were in desperate economic need to begin with, and so they reached out to us and said is it possible for us to work with you guys to provide books to these families. And we raised the funds for shipping and First Book stepped up with books so that the books could be distributed and kids at a minimum would have books in their homes to entertain them, to occupy them and also so they just didn't lose touch with those skill sets during the weeks and months of this crisis. Great story. I read also that Disney recently made a major announcement about a partnership with you folks to distribute 55 million dollars worth of books and apps for kids. That's just so exciting. Can you tell us more about that? I'm delighted MarySue. Disney has been an extraordinary partner of First Books for years. They've supported us financially. They've supported us strategically. They've supported us through design work. They really have been a deep-dive partner of ours. This most recent announcement was made at the White House just last week. They did as you said, they announced a 55 million dollar grant of books and apps over a three-year period, and they also announced a one million dollar commitment in cash to First Book to support the distribution of those resources to the kids who are waiting for them. It's a real hero story. Wonderful. Did you get to go to the White House? I didn't get to go that time but I've had the honor of being over there before. I've lived in Washington a long time and I've never gotten over the goosebumps that you get when you walk into the White House. I'd like to jump in here and ask both of you guys if a million dollar unrestricted grant just landed in your hands today, what would you use the grant for. Well as my mother would have said to you, from your mouth to God's ears, but I will say to you that when you're serving a network of more than 150,000 formal and informal educators and a network that, by the way, is growing by over 5,000 every single month, there is a demand on our IT systems that is really Herculean. It's very, very tough to raise money to meet that, to keep those systems as strong and vibrant and engaging as you need to because it's the least glamorous thing. People when they step up to First Book, they want to be the ones who deliver that book to that smiling kid, and I understand that impulse but the truth is if we had a million dollars lying on the table right this second, we would squeeze every penny and we would make sure that the systems we built brought books to millions more children because there are leverage points that we could reach with a million dollars that would allow us to reach many, many, many more sites. Yeah, infrastructure is such an unglamorous work but so important to build on and to grow at the leverage that people just don't understand it. Now you recently were named the National Book Foundations 2014 Literarian medalist. What did that mean to you guys? Well it meant the world to us. It meant the world to us. The National Book Awards is one of the preeminent institutions in all the world that recognizes the highest quality writers in the United States. The National Book Awards in the United States are known all over the world, and so for them to select First Book meant that we were being recognized on that level. We have an office here filled with people who work their hearts out 24/7 and are just mission people to the marrow of their bones. Everyone in the organization walked around about six inches off the ground for days and days after that. It was very heartening. It was just lovely. Oh, that's wonderful, wonderful, wonderful news. So tell our listeners, how can they help support First Book during this holiday season and way beyond the holiday season? How can these people be of assistance? Well I think there are two big ways. One is its really important that we reach every program serving kids in need; formal programs, informal programs, school-base, library, every setting where children in need are gathered, we want them to register. And so we really want to get the word out that it's free to register. All they have to do is go on to FirstBook.org and there's no obligation to purchase books through us, but they then have the opportunity to get those free books, to get those low cost books and it allows us to continue to reach out in all those leveraged ways like providing coats through Operation Warm, to provide food to hungry kids and lots of highly leveraged strategies, so number one is let's get everybody registered. And number two is even if you don't have much money, $2.85 will put a book in a child's hand so please come onto our sight and share that gift with kids who are waiting over the holiday season. That would be lovely and generous and we promise that we will make it go a long, long way. I'm sure you will. You guys are really doing the work that needs to be done and being very thoughtful and caring about the need to squeeze that dollar and really make it work and make the biggest impact in the broadest sense. With that in mind, each of you please ask this question of Kyle and then also of Carey, what is your vision for how First Book is helping to make the world a better place? This is a question we ask every week to our guests because we're BetterWorldians and we want to know what's their contribution to make the world a better place. Well I think earlier on, I'm not sure if we were on break or not, but one of the things that you mentioned, Ray, is that folks don't necessarily know about all of the services that are out there to help people who need help. I think that First Book's innovation and First Book's ability to reach as many people as we're reaching, and now by offering things other than just books is a really incredible way to sort of aggregate the services. I think that again I'm very excited about how First Book is approaching it and how they're very open to hearing from all of our customers, what our customers need, listening to the voices of the folks that are serving the kids in need and saying it's not just books. We need to know how to use the books. How do we teach things through these books? Can you help us do that? Can you help us get -- some of these kids don't have any food when they go home at night, or they're coming to school hungry, so now we're offering food on the Marketplace that teachers can order so that their kids can have full bellies so that they're happy to be learning and they're not distracted. I think all of this together in the aggregate is what's going to make the world a better place. I really believe in my heart and soul that we have to collaborate. We have to work together to really impact these kids. The thing that I would add from my perspective is storytelling is something that has been core to humanity since the earliest days of our existence. We have painted on cave walls. We've beaten drums. We've shared stories orally, and over all of those millennium, stories, those activities were accessible to everybody. We told each other about the weather, about hunting, about life, and about religion and about culture. And you couldn't exclude people from hearing the drum beat or sitting around the fire and listening to stories and so really its very recent in our history as humans when we have been excluding, when people have been excluded from the power of stories, from the power of sharing their cultures and their ideas and the explanations of the grander world because of this problem with access. And so we can't be surprised when you exclude large segments of the population from this core part of who we are and how we share who we are. We can't be surprised that society begins to unravel a bit. We're here to fix that. We're here to change that. I think it will have incredible ripple effects that transcend literacy and really elevate us all. I believe you're right on the mark in your thinking on that. I was thinking as you were speaking that we ultimately have our own individual narratives and we begin to explore that narrative by reading about others and by reading in general so that we begin to make sense of who are we and what's our contribution. So these children begin that journey by reading that first book and by becoming literate and by passing that on to the children and their families and so on and so on. An exciting journey. I commend you guys for the great work that you're doing and the impact that you're providing for the BetterWorldians and for all the people in the world. You can find out more about First Book by going to FirstBook.org. Kyle, Carey, I want to thank you both for joining us on BetterWorldians Radio today.